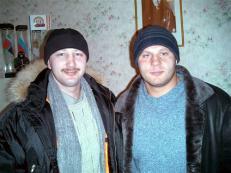 K: Fedor, one of your fans is asking if you intend to fight in K-1? -For now I fight in Pride, but maybe sometime in the future fighting for K-1 maybe a possibility. K: We know K-1 organizes fights involving botch kick boxing and MMA. Which K-1 version would you like to fight in? -I think K-1 ROMANEX, which basically has the same rules as Pride does. But I wouldn’t mind fighting pure stand up too. K: Do you continue to interact with your ex-manager Mr. Pogodin? Have there been any more problems for you after you stopped working with him? -I don’t have any contact with Mr. Pogodin lately. There were some financial problems we still had to fix. And of course, he continues to try making it hard for me. K: Has he been trying to interfere with your sports career? this title since Mr. Pogodin became Vice President of the Sambo Federation. K: One of your fans wants to know if your website at www.fedor.bel.ru and your forums are your official information source . . . do you know they exist? Do you personally browse through and read the site? - Of course I know about the site. I regularly read the news updates and some of the messages in the forums section. I am very grateful to all fans who visit the site. К: Are you glad that you will be fightinh Noguera in this coming New Year's Pride ? How do you rate your preparation level for that fight? - How can I be happy or unhappy about the fight? I will fight Noguera, that’s for sure. Of course I would prefer to spend New Years at home with my family, but I understand that Pride has organized a big show, and that is why I will deny myself a family celebration and will go fight in Japan . About my preparation level for the fight…I can only say I trained a lot for this fight, how prepared I am only the actual fight will show. - Yes we met, but it didn’t last longer than 10 minutes. Antonio told me his brother’s impressions of a recent trip to Moscow , invited me to Brazil , and was curious about my training for our fight. We talked about all and nothing. К: Your fans are curious about the rumors you trained with Le Banner? Is this true and who initiated this, did Le Banner ask about training with you or did you ask him? - We met with Le Banner in St. Petersburg , where both of us were guests for the M-1 tournament, where my brother Alexander participated. Le Banner told us he would like to train with us. We only did one training session together. I think he liked it because he asked if he could come to Starii Oskol (my home city) at a later point for more extensive training. We discussed doing this in December, but since Le Banner is getting married in December, we will probably do this January of 2005. К: How did your trip to Kislovodsk go? Were you able to mix training with rest? the trip, we rode horses, drank mineral water, had mineral baths. К: We would really like to know about the Emalienko brothers training regimen. If it's not a secret. What special food supplements do you use in your diet: proteins, amino acids, vitamins? What advice would you give fighters who are just starting out? - About training – basically we focus on conditioning – we fight (wrestle/grapple). We always do long distance runs. I don’t do any weightlifting, very little at all if anything with weights mainly circular regime. That is when different equipment devices are positioned in a circle and you use each one after the next going around in the circle, working your conditioning. As far as my diet, it’s simple. I eat everything. I do not eat any special supplements, just the common vitamin complex: Vitrum, Centrum. You can get those at any drugstore. My advice to fighters who are starting out, is not to try and rush things, the best method is training and more training. К: You say you don’t lift weights, how do you compensate to build up your strength? which you need in a fight, it can even be detrimental to fighters. To become strong all you need is to fight against your opponents body weight plus his strength, there is no better way for a fighter. К: Does your studying take out a lot of your time? Doesn't it interferre with your traning ? - Studying does take a lot of my time, but when I need to train hard, and I have an exam sessions conflicting with my training, I talk to my dean and do my exams either earlier or later than the other students. К: Please tell us about the upcoming tournament . When is it going to happen and how can we see it on TV? - The tournament is in Japan, in Tokyo. I think this will be one of the most important and interesting tournaments for 2004. I will fight in the super fight of the night. In our fight with Antonio Noguera I will defend my World Champion title and at the same time fight for the Grand Prix belt. So we will fight for two belts in one fight. You will be able to see this fight a few days after on TNT, the channel which shows Pride tournaments. К: Who would you like to fight next? - I have not thought about this. Whoever Pride tells me to fight, I will fight. К: May I ask how much you are getting paid for your fight against Noguera ? - Unfortunately according to me Pride contract we are not allowed to share information about how much money we make for specific fights. So I am sorry I can’t tell you. К: When was the last time you felt fear before a fight? - You know, that was so long ago, I don't remember. К: Who do you think is the toughest and weakest Pride fighter today? - Pride does not have any weak fighters. All fighters undergo a tough selection process to be able to fight in Pride. The toughest fighter is probably Antonio Noguera who was able to get to the finals in the Grand Prix and be the number one contender for the World Championship title. К: Are you sad that you will spend New Years away from home? - I am a little bit sad. I would have liked to spend New Years at home with friends and family, but there is nothing to do, we will celebrate a little later. К: Have you already done your shopping for presents for your close ones? - Not yet, I am planing to buy them presents from Japan. They will like that. Probably the best gift Fedor can give us, his fans, is one more title win. We wish him all the nest and to come back a winner!